The premium in-ear headphone sector has got itself a new high-end entrant with the Atomic Floyd SuperDarts landing as a bass heavy pair of audiophile appeasing buds. Building on the company's impressive compact headphones reputation the SuperDarts have doubled up on dual speaker drivers adding supercharged deep bass tones to what is an extremely strong all-round offering of high-end sound quality. Compact in design, weighty in construct the SuperDarts add highly desirable and luxurious design traits to their premium performance for an all-round package that justifies the lofty price tag. Steel acoustic chambers combine with SoftSeal noise isolating silicone tips (available in small, medium and large variants) for a comfortable fit that feels reassuring in the ear, perfectly traversing the ear bug gap between unnervingly light and head-draggingly heavy. Whilst the anti-tangle Kevlar cable does exactly what it says on the tin, maintaining a magically unknotted form no matter how badly you mistreat it, the 3.5mm jack plug is crafted from gold plated steel ensuring the premium buds will last longer than a mid-range counterpart. The dual drivers in each bud offer comprehensive sound in either ear with well textured tones allowing users to hear the subtly accentuated differences between instrumental layers and musical levels. Fully attuned for use with Apple's complete range of mobile products including the latest iPod, iPad and iPhone models, the SuperDarts boast an incorporated SoundControl remote allowing users to control the audio output without fishing their devices from pocket or bag. Enabling users to increase and decrease volumes as well as pause and play output, the SoundControl also plays host to an inbuilt mic allow for hands-free calls to be taken with crystal clarity and little faff. For a pair of headphones designed specifically with supercharged bass in mind, the SuperDarts perform surprising well across all varieties of music and the full sound spectrum delivering impeccable audio from the crisp tangy tones of an acoustic number right to the booming beats of a bass drum via crystal clear raspy horn sections. Offering more than a comfortable fit the Atomic Floyd SoftSeal silicone tips found adorning the SuperDarts offer two-way noise isolation. 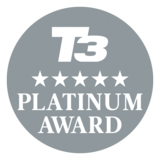 Performing admirably the SoftSeal tips reduce background noise upon insertion and when playing the lightest of music at low volumes whilst ensuring those around you can't hear unwanted leakage when blasting out beats at high volumes. A must have for any fans of truly bass-rich audio, the Atomic Floyd SuperDarts remain perfectly balanced across all audio levels meaning be it a quite mellowing experience or heartbeat-quickening uplifting number the metallic buds are more than a match. 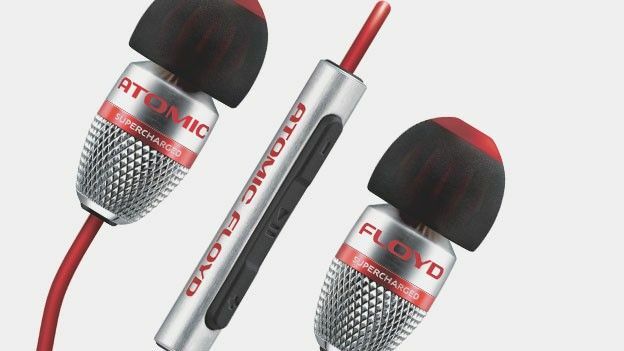 For someone looking to splash the cash on a high-end pair of in-ear headphones, the Atomic Floyd SuperDarts are highly recommended and capable of exceeding expectations of those familiar with the most renowned of high-end brands. What's new in headphone tech? Wireless connectivity, active noise cancellation and even integrated digital assistants have transformed the humble headphone. "I'm sorry, I don't understand the question"